116 Commercial Real Estate & Properties in Spring Hill are listed in 6 categories. We have 69 OfficesLease , 34 Medical and Consulting PropertiesLease , 11 Retail ShopsLease , 2 Other Commercial PropertiesLease , 1 ShowroomsLease and 1 Industrial Warehouses Lease . Situated on boundary st and right next to international Education Service building, this walk in cafe opportunity with great fit out is extremely rare and will not last! Property features include: 55m2 Cafe Subway preparation kitchen with equipment & cold room included Strong surrounding commercial office trade Premier highly sought after inner city location of Spring Hill Students walking traffic Immediate proximity to St Andrews Hospital, Brisbane Private Hospital, Roma St Parkland, International Education Service building, Hotel, Wickham Terrace Medical Precinct and Brisbane CBD Precinct already undergone significant gentrification and set to further benefit from over $44 billion infrastructure investment Motivated Landlord, incentives on offer! Price: Contact agent Inspection: By appointment Address: 485 Boundary St Spring Hill QLD Contact: Conan Li 0404 617 767 (07 3373 9887) Email: conan.li@yong.com.au Disclaimer: We have in preparing this information used our best endeavours to ensure that the information contained herein is true and accurate, but accept no responsibility and disclaim all liability in respect of any errors, omissions, inaccuracies or misstatements that may occur. Prospective purchasers should make their own enquiries to verify the information contained herein. With various tenancies available in this 11 storey property there is something to suite everyone. The property is within walking distance to local amenities and various transport links including central station. Ground floor 161sqm, $465sqm net + GST Fourth floor, 87sqm, $335sqm net + GST Eleventh floor, 137sqm, $360sqsm net + GST glass entrance door, reception, meeting room, 1 office and open plan office space, kitchen, polished concrete flooring Outgoings $110sqm Parking by separate negotiation CCTV throughout building, fibre optics, air conditioning, end of trip facilities, recessed lighting, after hours security Please call Your Commercial to arrange an inspection. Only minutes to Brisbane's CBD this freestanding building is centrally located for local transport links and local amenities in Spring Hill. 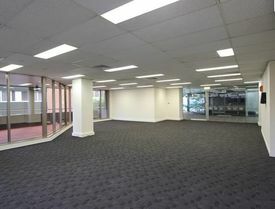 285sqm ground floor 180sqm, basement 105sqm Previously ANZ bank Negotiable internal fitout Freestanding building 6 car parking spaces at rear Corner site exposure to 3 street frontages pylon signage Vacant Loading area Air conditioned Minutes to the Brisbane CBD, central station and the medical district Please call Your Commercial to arrange an inspection. 115 SQM ground floor office or retail space High traffic exposure Presented in open plan layout with base building finishes Featuring an exclusive use balcony and new carpet throughout Available now Outgoings included in rental For more information please contact Tony Morena. Approximate If Applicable. Top Floor Office - Best Value In Spring Hill $440 per week + GST or ma.. This 60m2 office has it all for you to walk in and start operating. Fully furnished, the suite is located on the top floor of the Astor Centre on Upper Edward Street in Spring Hill and is a short walk to the CBD and Central Railway Station. It would suite a variety of office uses who want to take advantage of its turn key appeal. Alternatively if you don't require the furniture it can be removed for you. Features include: Mixture of open plan with a partitioned executive office Panoramic views to the CBD Plenty of natural light Sony 3D TV plus x2 Apple TV boxes Data stack cabinet White Board An array of office furniture Mini Fridge Back to base alarm system Close to an array of cafe's There are also 2 secure car parks available next door @ $300 + GST per month each. For more information or to arrange an inspection contact Tom Chan of Blocksidge Real Estate on 0478 586 131. Level 5 Comprehensive refurbishment on entire building: New lifts Upgraded air conditioning Completely refurbished amenities Re modelled foyer New End of Trip facility with showers, lockers and bike racks Completed ready for use Secure basement car parking 15 Astor Terrace is located in a tightly held precinct within 100 meters of Central Railway Station, shops and a short walk to the CBD. Spring Hill is home to a diverse mix of private business, Government and medical occupants. For further information or to arrange an inspection contact Richardson Wrench Commercial Brisbane North now! Ground Floor, City fringe location Refurbished foyer lifts Close proximity to Central Station CCTV cameras installed throughout the building (incl carpark). Fibre optics in process to the building. New end of trip' facilities Unisex showers Secure bike racks This immaculate eleven storey office building is fitted with ducted air conditioning through out, recessed lighting and open plan tenancies. This much sort after premises also consists of after hours security and on site parking. For further information or to arrange an inspection contact Richardson Wrench Commercial Brisbane North now! Boutique office building City fringe Refurbished foyer lifts Located opposite Central Station New 'end of trip'facilities Unisex showers Secure bike racks 113m2 office After hours security Car parking available by negotiation Available now, inspection by appointment only Magnificent office located walking distance to CBD, rail, bus and all retail amenities. A quality building as well as individual fit out this property is worth a look with high expectations satisfied. For more information please contact Richardson Wrench Commercial Brisbane North. Partitioned office Boutique office building City fringe Refurbished foyer lifts Located opposite Central Station Fibre Optic connection in process within building New 'end of trip'facilities Unisex showers Secure bike racks 383m2 office After hours security Car parking available by negotiation Available now, inspection by appointment only Magnificent office located walking distance to CBD, rail, bus and all retail amenities. A quality building as well as individual fit out this property is worth a look with high expectations satisfied. For more information please contact Richardson Wrench Commercial Brisbane North. 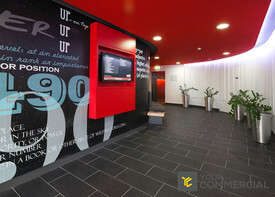 Magnificent office located walking distance to CBD, rail, bus and all retail amenities. A quality building as well as individual fit out this property is worth a look with high expectations satisfied. Boutique office building City fringe Refurbished foyer and lifts Located opposite Central Station New 'end of trip'facilities Unisex showers Secure bike racks 50m2 office After hours security Car parking available by negotiation Available now, inspection by appointment only For more information please contact Richardson Wrench Commercial Brisbane North. 115sqm, $395sqm, gross lease Ground floor available now High traffic exposure Suitable for retail or commercial tenant Good natural light Open plan Base building finishes, featuring an exclusive use balcony and new carpet throughout Close proximity to Central Train Station (250m) and bus transport links Ground Floor retail arcade with onsite cafe End of use facilities including bicycle parking and shower facilities Air conditioning 3 phase power and fibre optics 24/7 access and CCTV Please call Your Commercial to arrange an inspection. This tenancy is all about exposure and location. Situated on the Ground Floor lobby of Silverton Place in Spring Hill, is this 65 m2 blank canvas opportunity. Take advantage of its 35 lineal metre wrap around glass frontage as a retail shop/showroom, or alternatively, utilise as either medical rooms or a professional office. Features: 65 m2 open plan tenancy. Wide glass frontage 4 door access Access to water Good walk by traffic On site manager Bathroom Amenities located in the lobby including PWD compliant bathroom 2 basement car parks available at monthly rates Walking distance to the CBD. Immediately opposite Central Railway Station and in close proximity to the City Loop Bus service. For more information or to book an inspection contact your Exclusive Blocksidge Agent Tom Chan on 0478 586 131. 117sqm @ $349sqm Well presented office space with kitchenette Open reception 4 executive offices Large boardroom Fitted out including furniture, kitchen items and TV Phone system in place End of use facilities including shower and bike racks Great natural light Well located for the amenities of Spring Hill including cafes, coffee shops, restaurants and bars Walking distance to CBD and various transport links including Central train station Please call Your Commercial to arrange an inspection. Retail Or Office Space In Spring Hill Call for price! 147sqm @ $440sqm Tandem underground car parking space Glass frontage on Leichhardt Street Kitchen / staff break out area Excellent exposure Well positioned for various bus routes and approximately a 15 minute walk to Roma Street station Walking distance to local amenities including cafes, coffee shops, retaurants and bars Please call Your Commercial to arrange an inspection. Priced To Lease - Top Floor Office $23,400 p.a. Gross excl. .. This 60 m2 office has it all for you to walk in and start operating. Fully furnished, the suite is located on the top floor of the Astor Centre on Upper Edward Street in Spring Hill and is a short walk to the CBD and Central Railway Station. It would suite a variety of office uses who want to take advantage of its turn key appeal. Alternatively if you don't require the furniture it can be removed for you. Features include: Mixture of open plan with a partitioned executive office. Panoramic views to the CBD Plenty of natural light. Sony 3D TV plus x2 Apple TV boxes Data stack cabinet White Board An array of office furniture Mini Fridge Back to base alarm system Close to an array of cafe's There are also 2 secure car parks available next door @ $300 excl. GST and $320 excl. GST per month respectively. For more information or to arrange an inspection contact James Ovenden of Blocksidge Real Estate on 0404 191 537. 239 Wickham Street is a prime leasing opportunity in an unrivalled position. Perfectly suited for an early learning centre, this unique property will boast a brand new fit out, suited to tenant requirements, allowing for a high grade business operation. With the site located directly next door to the Brisbane Private Hospital and positioned within the cities medical precinct, this excellent opportunity for child care operators won't last long. Key building features; 1 014 SQM total floor area Premium fit out contribution on offer Commercial kitchen capabilities Exclusive basement parking Pick up/drop off zone Large ground floor tenancy Contact agent for exclusive property Information Memorandum or to arrange an inspection. Approximate If Applicable For more information contact Charlie Meallin. DISCLAIMER: Subject to the provisions of the Trade Practices Act 1974 and subject to any other non excludable statutory provisions. Ellison Specialised Properties Pty Ltd for themselves and for the Vendors of this property for whom they act give notice that: (i) all information given in relation to this property whether contained in this document or given orally, is given without responsibility; (ii) intending purchasers should satisfy themselves as to the truth or accuracy of all information given by their own inspections, searches, enquiries, advices or as is otherwise necessary; (iii) no person in the employment of Ellison Specialised Properties Pty Ltd has any authority to make or give any representation or warranty whether in relation to this property. This ground floor space is ready to go. With easy access to the CBD, it has plenty of parking nearby making it convenient for your clients to visit. Bus & train services are also within a few minutes walk. 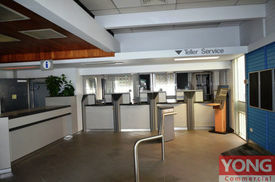 The building is fitted with ducted air conditioning throughout plus; CCTV security Two lifts. Secure Bike Racks Recessed lighting Ready to move in Complete with kitchen and lockers! Close to Central Station. This much sought after premises also consists of after hours security and some on site parking. Located on one of Brisbane's most prominent streets, this 11 story office building is within a short walking distance of both Central Station and bus facilities. Fully refurbished, this smart, clean office is ready to go; Just move your furniture in and start a business! Located on the 5th floor, with excellent views over the city making for a pleasant working environment The building is fitted with ducted air conditioning throughout plus; CCTV security Secure Bike Racks Recessed lighting Suit business that needs to be in the city with parking and easy access. Complete with kitchen and lockers! Close to Central Station Two lifts Ready to move in This much sought after premises also consists of after hours security and some on site parking. Located on one of Brisbane's most prominent streets, this 11 story office building is within a short walking distance of both Central Station and bus facilities. 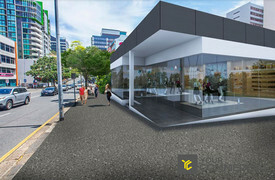 180sqm $275sqm 3 secure undercover parking spaces Across the road from St Andrews Hospital Great natural light Great signage exposure to passing traffic on Boundary Street Air conditioning, carpeted, natural light, private balcony, private kitchenette, 2 toilets/shower Mostly open plan with 2 private office spaces, spread out over 2 levels Level 1 has a boardroom, waiting area and interview room Private balcony Dual access points at front and rear of building Conveniently located for local transport links and amenities of Spring Hill 15 min walk to Roma Street central station Please call Your Commercial to arrange an inspection. Excellent location opposite Central Station – floor 5 with after hours security and some on site parking amongst the professional precinct of Brisbane. City fringe Open plan with some offices Tastefully refurbished and ready to move into Fiber optic connection in the building An abundance of natural light from windows Great views New 'end trip' facilities, unisex showers, secure bike racks Opposite Central Station with great parking nearby for staff and customers. Call for an inspection. Excellent location opposite Central Station – 1st floor with after hours security and some on site parking amongst the professional precinct of Brisbane. City fringe Open plan Large Kitchen Fibre optic connection in building Abundance of natural light from windows New 'end trip' facilities, unisex showers, secure bike racks Opposite Central Station with great parking nearby for staff and customers. Call for an inspection. Recent rental rate reductions – get in before it goes! The building is fitted with ducted air conditioning throughout plus; CCTV security Secure Bike Racks Hip fitout Recessed lighting Two lifts. Ready to move in Suit educational institution catering to Millenials Complete with kitchen and lockers! Close to Central Station. This much sought after premises also consists of after hours security and some on site parking. Located on one of Brisbane's most prominent streets, this 11 story office building is within a short walking distance of both Central Station and bus facilities. 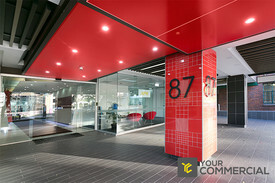 Large Office Convenient Location Cbd Fringe $5,388 PCM + GST + Outgoi.. Excellent location opposite Central Station – floor 10 with after hours security and some on site parking amongst the professional precinct of Brisbane. City fringe Open plan Kitchenette Fibre optic connection in building Abundance of natural light from windows Incredible views New 'end trip' facilities, unisex showers, secure bike racks Opposite Central Station with great parking nearby for staff and customers. Call for an inspection.